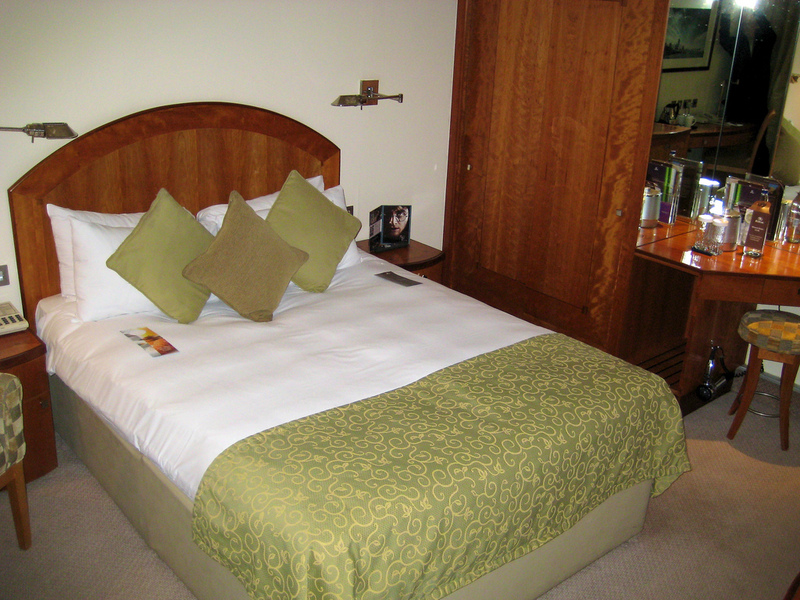 We needed a brief overnight stay after landing at Heathrow on BA178, and the Sofitel at T5 was too expensive. 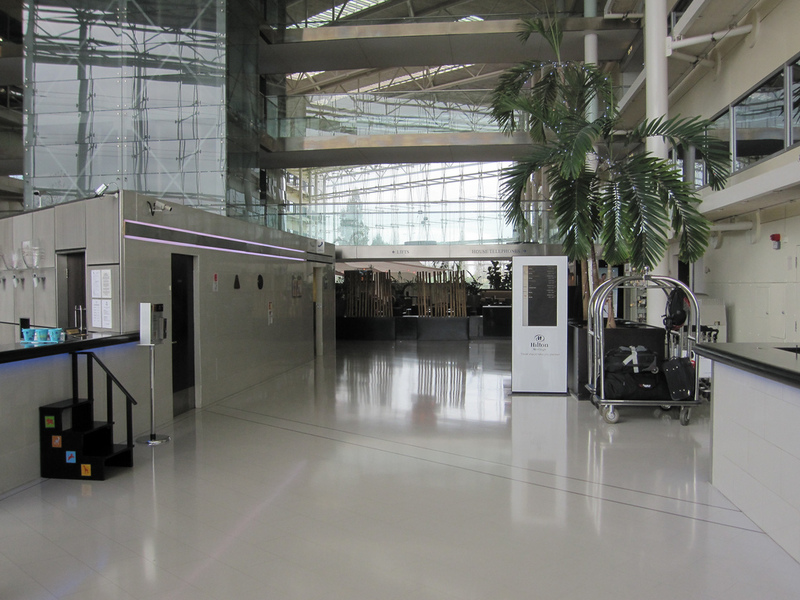 I wanted a hotel that was as close to the airport as possible as we were connecting onto a BA flight to Glasgow the next morning, and wanted to minimise any transfer and connection issues. I’m not an active member of the Hilton Hhonors scheme, so decided not to book this directly through Hilton – a hotels.com offer and clear pricing in AU $ meant I decided to book there instead, instead accruing a night to their ‘Welcome Rewards’ scheme, which gives an effective 10% discount on all stays. As an aside, I think this scheme is an excellent option for the casual traveller who doesn’t care to stick to one brand or another. Yes, you can accrue decent points and bonuses through the major hotel schemes, and yes, these can (for the most part) then be transferred over to airline partners, or used for hotel redemptions. But for the infrequent hotel stayer, I think the Welcome Rewards scheme is a good option as it’s just so simple – one free night for 10 stayed, across all brands, as long as you book through hotels.com. The shuttle driver was helpful with luggage, and friendly, easing my annoyance at having to wait 20 minutes for the shuttle to show up – it leaves only every 1/2 hour on the 15 minutes, so if you’ve just missed one you might want to kill some time in the terminal before heading outside to wait for the bus. After extracting my luggage from the shuttle, I was mostly ignored – no porters were available outside to help me get bags inside, but once I started hauling my bags onto a trolley I was served and headed off to check in. The Hilton wasn’t off to a great start. 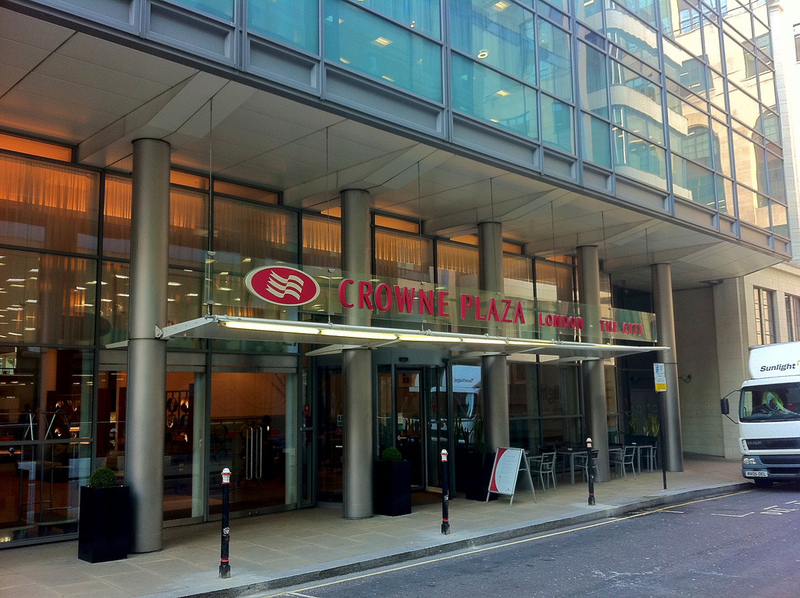 I had booked a standard Queen Hilton room, which was a touch small for my liking at 24 square metres. Any more than a couple of suitcases and your luggage would get in your way. Otherwise everything was clean, nicely designed, and most importantly quiet, calm and dark. The room was really small, I have to say. Try and spend for a larger one if you can. 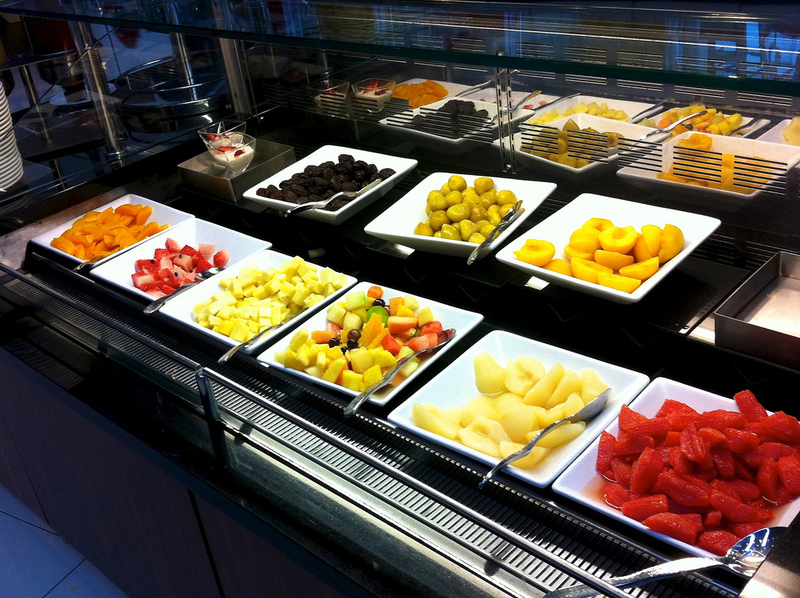 All up, my stay at the Hilton was more than satisfactory – once checked in the staff were all pleasant, the breakfast was plentiful and tasty, and the shuttle to and from T5 was fast. 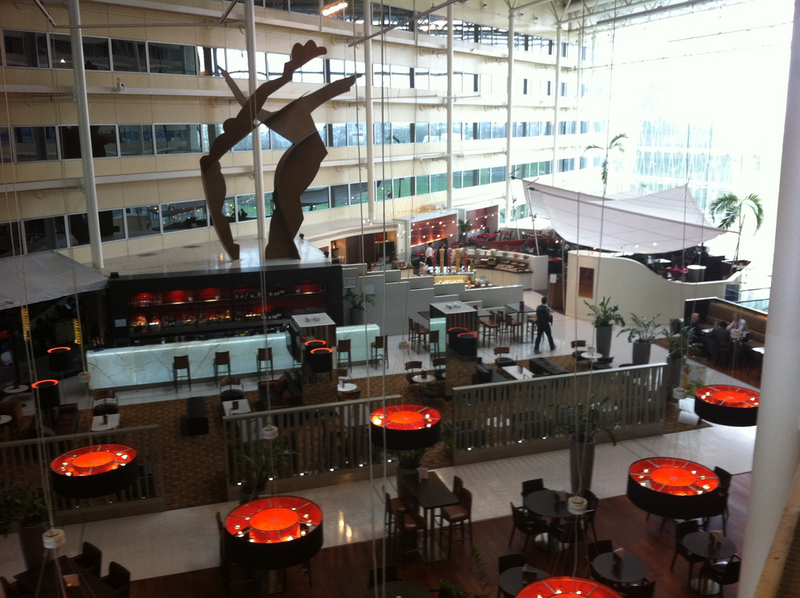 The deal I bagged was around 1/2 the price of the Sofitel over at T5, which made it well worth the quick shuttle ride. If you’re using Terminal 4 and appreciate convenience, then it’s a no-brainer as it’s just a brief walk. There would be no need to go further afield unless you’re looking for a much cheaper option, or trying to stay loyal to a particular brand. It was nice enough, but with nothing really to shout about. But then, it’s an airport hotel, so nice enough is good enough, really.